Meg Little, photo by Scott Lapham. Meg Little successfully combines function with fine art in her handtufted rugs with designs inspired by ancient petroglyphs as well as modern art. Little received her BFA from Tyler School of Art and an MAE from the Rhode Island School of Design. 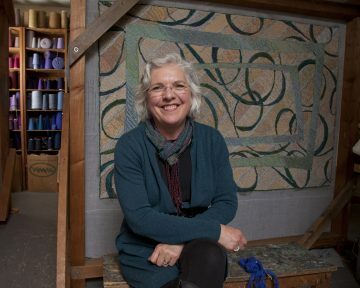 She taught at Plymouth College of Art and Design in England for several years before beginning to make rugs. 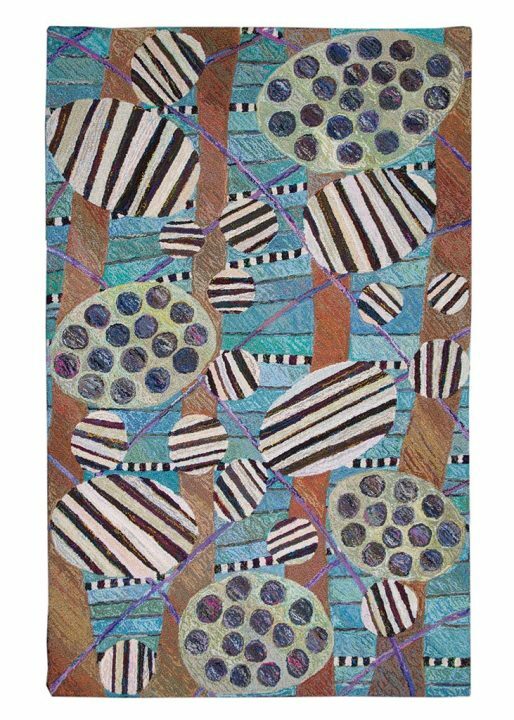 Little has exhibited extensively in Rhode Island as well as in national venues including the Fuller Craft Museum, American Craft Museum, Smithsonian Craft Show, and the Philadelphia Museum of Art Craft Show. 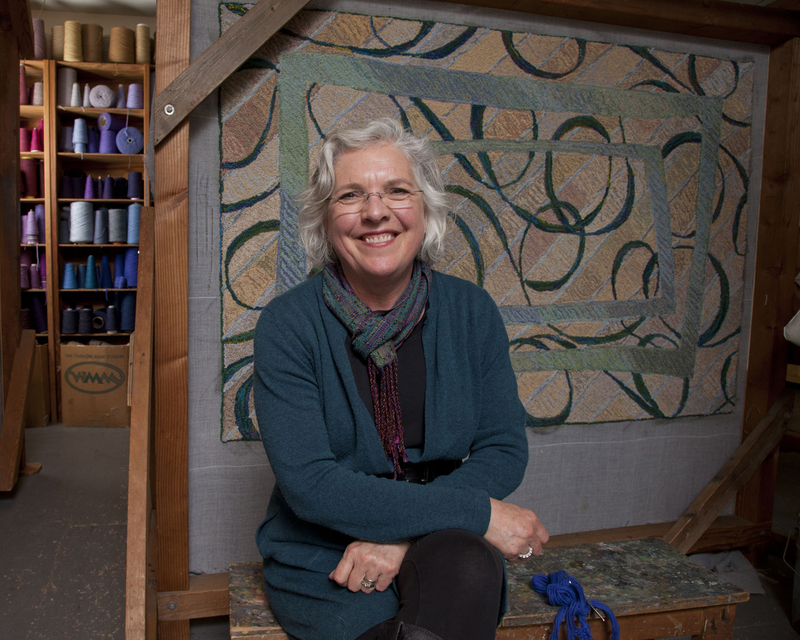 She has been an elected juror of the American Craft Council, a juror of Crafts at the Castle, Boston, and has taught at the Penland School of Crafts, as well as at the Newport Art Museum where she recently had a solo exhibition. Wool on polyester, 8 x 5 ft.